10 jobs in Accountancy and Finance in Northern Ireland. Working in a leading not for profit organisation, the role holder will be responsible for a range of duties including VAT, bank reconciliations and preparing financial reports. Candidates should have practical knowledge of computerised accounts packages and recent, relevant experience in a busy accounts team. Abbey Insurance is currently recruiting a Group Compliance Officer. Responsibilities will include developing and maintaining an internal risk management framework and gaining and maintaining a sound working knowledge of the regulation affecting the group, including GDPR. The role holder will be responsible for supporting the Management Accounts team with the production and distribution of key reports used to both monitor financial performance and drive the business. 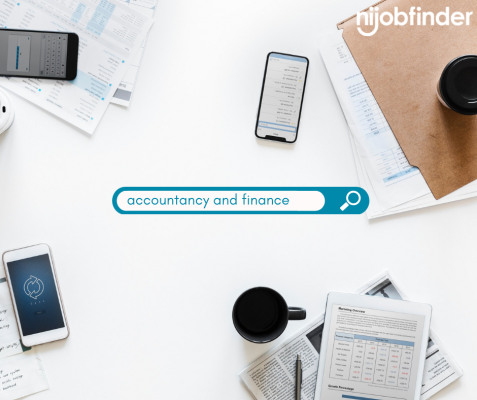 A minimum of one years’ experience in a finance environment to include working knowledge of accounting systems is essential to be considered for this role. Kilwaughter Minerals Ltd is recruiting for a candidate who will be responsible for ensuring the ledger is reconciled accurately and closed in a timely manner to allow management to be promptly issued with management accounts. Two years’ experience in a finance department with an understanding of accounting processes and procedures is essential to be considered for this role. The Macklin Group are seeking to appoint an Assistant Accountant to join their management team. The successful candidate will provide strong financial leadership and proactive contribute to the continued growth of the overall business. It is essential candidates are either a fully qualified Accounting Technician or Part Qualified Accountant. Reporting to the Company Accountant, the post holder will have a variety of responsibilities including processing a busy purchase and subcontractor ledger and researching reconciling accounts payable balances and vendor statements. A minimum of two years’ experience in a fast-paced accounts payable role is essential for this role. The post holder will undertake duties to support overall delivery and preparation of accurate and timely financial information, reports and analysis. Applicants must be a fully qualified accountant and have at least three years relevant experience in either a commercial or practice background. Working as part of a team of problem solvers with extensive consulting and industry experience, the Corporate Tax Manager will help clients solve their business issues from strategy to execution. Essential criteria includes a UK professional qualification and significant UK corporate tax advisory experience. The successful candidate will be an integral part of the Accounts team, ensuring the effective management of the Accounts Receivable function with some additional Finance and Banking duties. Candidates should possess at least two years’ previous experience in a similar role and the ability to trouble shoot and find fault. The responsibilities for this role will include the preparation of Trustee Report and Financial Statements for a portfolio of pension schemes and working on a portfolio of Defined Benefit, Defined Contribution and Hybrid schemes. To qualify for the role, the candidate must have knowledge of computerised systems and excellent verbal and written English communication skills. Searching for public sector jobs?